Why today’s world of work needs more flexible family friends..
And the Oscar goes to …. With up to a billion pounds due to be invested in growing the local economy over the following five years, Cornwall Council and the Cornwall and Isles of Scilly Local Enterprise Partnership (LEP) jointly staged Cornwall Expo 2015 to showcase key projects to business and tourism industry leaders and outline plans for the future. 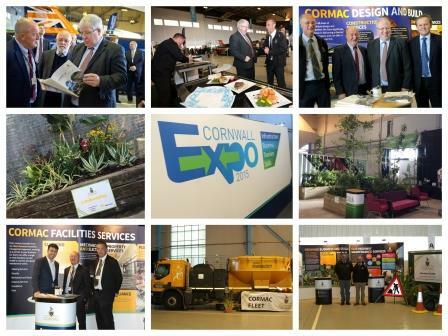 Held in a hangar at Cornwall Airport Newquay the two day exhibition and conference – the first of its kind to be staged in Cornwall, focused on infrastructure, business, tourism and skills. The programme included the formal unveiling of the new Night Riviera sleeper rail carriage by the Secretary of State for Transport Patrick McLoughlin, and the formal launch of the Cornwall and Isles of Scilly Growth Programme. There was also a series of workshop sessions for delegates. Trisha was asked to devise and implement a communications plan to manage the event and ensure maximum positive publicity for the organisers and for Cornwall. Working with Cornwall Council’s economy, transport and tourism teams and the LEP, Trisha compiled the programme for the event and identified a list of high profile speakers. These included Patrick McLoughlin, the Secretary of State for Transport and Tim O’Toole, the Chief Executive of FirstGroup, with senior representatives from Cornwall Council and the LEP; the Cornwall Chamber of Commerce, Visit Cornwall and leading private sector businesses, including the Real Ideas Organisation and Fifteen Cornwall Food Foundation. Once the speakers had been confirmed Trisha worked with key services and the design team to produce backdrops for exhibits, invites, brochures and other supporting materials for the event. She also devised and implemented a media relations strategy, targeting specialist as well as local, regional and national journalists to promote the event; writing and issuing media releases; producing a media briefing pack with background information about all the exhibits and managing a media briefing event ahead of the exhibition. She also worked with a digital company to produce a series of films focusing on Cornwall and major infrastructure projects which was shown during the event. More than 1,000 people from the business, tourism, local government and the voluntary and community sector attended the two day event. It was also extensively covered by regional TV, regional and local media and specialist trade media.